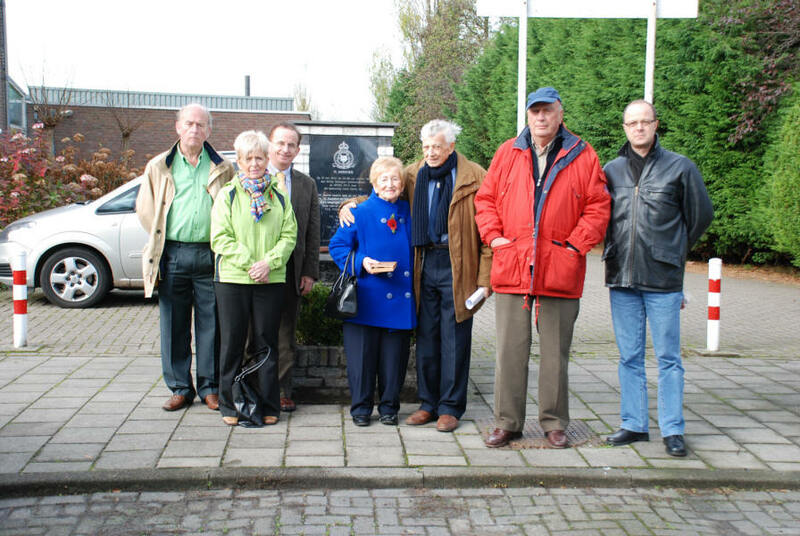 November 2007 the Irish family ‘O Callaghan visited the monument for the RAF Vickers Wellington, no 12 squadron, code PH-C, W-5361 situated in the Rozenstraat (formely known as Akerdijk) in Badhoevedorp. 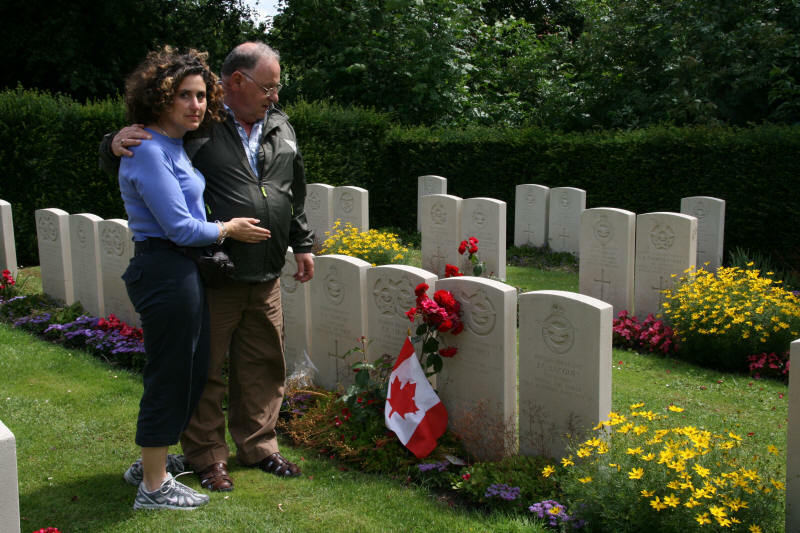 The monument is placed close to the site where the Wellington crashed on May 31sy, 1942. All crewmembers were killed. Standing in the centre with blue coat Mary ‘O Callaghan (sister of the frontturretgunner William J. ‘O Callaghan) on the left here children Liam, Hyacint en Kieran. Righthandside of Mary , Henk Rebel, Mr. J. Ossewaarde en Jan Springintveld. May 2008. 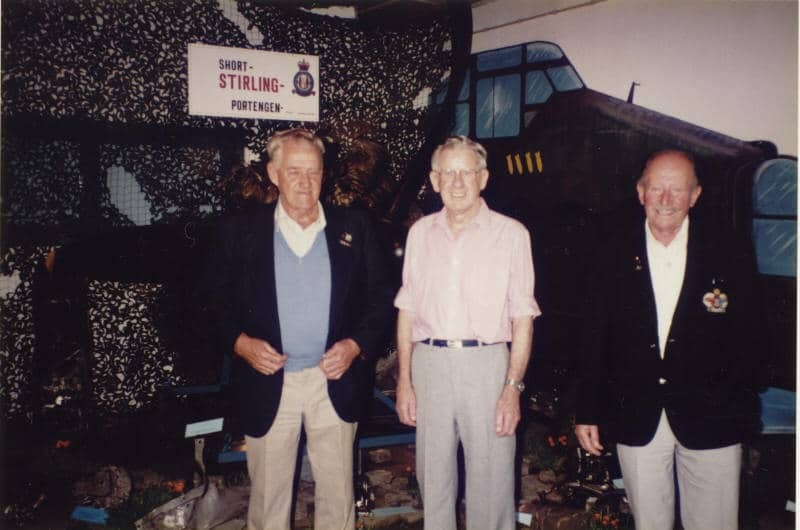 RAF navigator Cy Grant (sitting in the chair) came to visit the museum together with a cameracrew of the BBC, making a documentary about his unvoluntary landing in Nieuw Vennep, when his Lancaster bomber blew up.